A driver and passenger cruising through Washington’s Okanogan Wenatchee National Forest on State Highway 2 witness a Sasquatch walking on the road in October of 2016. This may not be a hair-raising encounter, but what makes it special is that it was documented by an Endangered Species Biologist. In the below video I discuss the Freedom of Information Act process that led me to an honest to God Bigfoot report documented by an Endangered Species Biologist working for the U.S. Fish and Wildlife Service. I also discuss the red flags that popped up in this investigation, and the Department of Interior’s controversial move to limit the effectiveness of FOIA in that agency during the partial Government shutdown that lasted from Dec 22, 2018 to Jan 25, 2019. Note: There are a few edits in this article in red with an *asterisk. There may be more as time goes on and additional information comes in. There are several points that intrigued me about this report but before I get into those details I would like to reiterate that I have never seen Bigfoot, I am not a field researcher, I am not a so called “expert” on Sasquatch or any other cryptid for that matter nor will I ever claim to be. I am simply a cryptozoology enthusiast as many of you are. The following analysis is my own speculation based on the details of and surrounding the acquisition of the report, and carries as much weight as anyone else’s opinion. This is not a scary story. At least it was never intended to be. This is not a story about a Bigfoot attack. This is not an account of a Sasquatch massacre. No one was harmed during the following encounter. Well, not in the physical sense. Before I get into that, let’s talk about 1967. Bigfoot researchers and enthusiasts all over the world note the year 1967 with significance. This was the year that in a wooded area in Bluff Creek California, Roger Patterson and Bob Gimlin filmed what some call the ultimate evidence of the existence of Sasquatch. Though the Patterson Gimlin film still draws controversy to this day, it is widely accepted as one if not the most important events in Bigfoot history. However, another important event occurred in 1967, one that has caused its own share of controversy throughout the years that continues to this very day. The year before, then President Lyndon B. Johnson signed into law the Freedom of Information Act, which was officially implemented on July 4, 1967. Since 1967, the Freedom of Information Act, or FOIA as it’s known, has provided the public the right to request access to records from any federal agency. FOIA is a federal law that allows for the full or partial disclosure of previously unreleased information and documents controlled by the United States government as long as they meet certain criteria. For example, some documentation controlled by the government would be ineligible for release to the public if such information would be exposing critical personal information of certain parties included in the documentation, or put at risk the national security of the United States. It is often described as the law that keeps citizens in the know about their government. Since earlier this year I have been making several Freedom of Information Act requests on behalf of the National Cryptid Society from various government agencies. Of the few documents I have received, there has been little information that was relevant to my requests or that is new information not available elsewhere on the internet. For instance, I received a digital file from the Federal Bureau of Investigation containing correspondence from author, investigator and then head of the Bigfoot Project organization Peter Byrne and FBI laboratory staff between 1976 and 1977 concerning the forensic analysis of hair samples *provided by Byrne to the FBI lab. Long story short, the FBI claimed the hair samples were from a deer in their report. This documentation was previously made public by the website “The Black Vault” and no new information was provided by the Federal Bureau of Investigation in the response I received. *EDIT* For the entire set of documents concerning the FBI files mentioned above see The Black Vault’s article. Another collection of documents was sent to me by the National Park Service. However, the documents proved to be underwhelming if not mildly entertaining to read. One report detailed a complaint about the camera crew and one of the cast members of the program “Finding Bigfoot” flying too low over a National Park to capture “B-Roll” footage for an episode. Another report described an act of vandalism in a different National Park where the word “Bigfoot” was carved in the side of a rock, and yet another told a tale of two bigfooters exploring a closed section of a different National Park when their vehicle was discovered by park rangers. The wife of one of the unlucky pair was notified prior to rangers discovering their location. Once located, the duo were chastised by park staff and sent on their way, and I get the feeling from the report that at least one of the pair heard an earful when he got home. Although the previously mentioned responses from government agencies were not exactly what I was looking for, it did show me that using the Freedom of Information Act can be a critical tool for media outlets to gather information. Also, since it was my first attempt at requesting information from the government in this manner, it was a learning experience for me. I did not run into opposition or defiance, and all correspondence was professional and courteous. The results also led me to keep pursuing any information I could via the FOIA process, even though by this time I began to wonder if I would ever receive anything of substance. On November 20, 2018 I filed a Freedom of Information Act request with the U.S. Fish and Wildlife Service. The request was for official, declassified or otherwise documented Bigfoot sighting reports within their jurisdiction. This request was answered by the United States Department of the Interior, U.S. Fish and Wildlife Division in the form of two documents. The first was a basic cover letter that confirmed certain aspects of the request and reviewed the terms upon which the information was released. This was a standard form letter that I had seen before from other agencies. The second document was different than the others that I had received. It was not a standardized block format government report form, it was not a scanned memorandum nor was it any type of scanned form or handwritten document. The file contained three paragraphs. No header or footer, no signatures or stamps, and no further identification of where or when this report was filed. Although the brevity of the document disappointed me upon looking at it at first, as I read it I realized this is just the kind of information I was looking for. The following is the report I received from the U.S. Fish and Wildlife Service. On October 11, 2016, I [name withheld], a U.S. Fish and Wildlife Service endangered species biologist, was contacted by U.S. Forest Service staff about a report that had been called into their office and they weren’t sure how to handle it. I talked with a Forest Service employee briefly who passed off the caller’s information and a brief statement of what she had seen. The woman’s name was [withheld] of [withheld], Washington. I called her on October 11 and left a voicemail. [The witness] returned my call on October 13 (2016) at 10:22 a.m. and we discussed what she had observed (see below). [The witness] said that on Sunday October 2 she was driving back to [her home] from Leavenworth (WA) on state highway 2 traveling west. After getting out of town and just past the intersection of Cole’s Corner heading towards Steven’s Pass she saw a dark, hairy bipedal creature whom she estimated to be between 7-8 feet tall. She said it was lean looking and it was near a guardrail on the right side of the highway walking towards her. She pulled over at the end of the guard rail and saw the creature go over the guard rail and walk towards the woods. She noted it had somewhat of a conical head. She said it was black in color and she could not see any flesh. She said she also talked with [name withheld], the Wildlife Biologist for the Okanogan-Wenatchee National Forest about her sighting. He advised her to report the incident to the Bigfoot Research Organization online at BFRO.net. [The witness] to me sounded in her mid 50’s. She said she was leaving the Oktoberfest celebration in Leavenworth she had attended over the weekend. The sighting happened around 10:30 in the morning on her drive back. The weather was clear and sunny. Her friend [name withheld] rode in the passenger’s seat and Ann’s mother [withheld] rode in the back seat. Both were visiting from [withheld], Texas. The mother-in-law did not see the creature. It sounded to me as if she may have been elderly. You may have concluded much as I did that this sighting is pretty par for the course as Bigfoot encounters go. An unsuspecting driver happened upon a hairy bipedal creature strolling near a roadway. Save the fact that Bigfoot sightings are unusual by nature, there is nothing else outlandish or unbelievable about this encounter as it was reported. There’s no amount of clickbait headline penmanship that would have made this report more exciting, much less more credible than the thousands of other sightings reported in the United States and Canada. The area in which the encounter occurred is a dense forest within Washington’s Okanogan-Wenatchee National Forest. The park includes over 4 million acres according to the U.S. Forest Service and of that around 319,000 acres are comprised of old-growth forest. Washington state has the highest number of documented Bigfoot reports of various classes in the United States according to the BFRO. In Washington alone at the time of this report there were 657, and there are 21 reports documented by the organization in the same county where this encounter occurred. One statement of significance in the report was that the creature was described as being lean. The leanness of the creature described is in contrast to the majority of Bigfoot reports where the subject is described as bulky or massive and a lot of the current popular imagery portrays Sasquatch as furry Olympic weightlifters complete with over-sized pectoral muscles and six-packs. People have a natural tendency to unconsciously embellish memories as time passes. This is a well documented phenomenon in books and journal articles that focus on the memories of eyewitnesses and how their testimonies can vary as the time between an event and the time of recollection of that event increases. However, in this case, there was a very short time between the encounter and when the witness contacted the U.S. Fish and Wildlife Service to report it.The description of the subject in the report would be more accurate in this case given that the accuracy of a person’s recollection of a memory is greater when the least time has passed between the event and their description of said event. Moreover, a hoaxer wearing a Ghillie suit or Bigfoot costume would probably not appear “lean” to a passerby in my opinion. Another point of this report is there was a corroborating witness in the vehicle as well. Both the driver and front seat passenger observed the creature from the car. The third passenger in the back seat did not see it. The question then becomes “if the driver and front seat passenger were able to see this thing, why didn’t everybody in the vehicle see it?” I’ve come across another report where both the driver and front seat passenger had observed a Sasquatch crossing the road in front of their vehicle where the passengers in the rear seats did not. That report was from National Cryptid Society Case File 61 which happened in Cherokee County, Texas on State Highway 21 between Caddo Mounds State Historic Site and the Neches River bridge. In both cases, it makes sense to me that the passengers in the rear seats of most vehicles don’t visually observe the environment in front of a moving vehicle to the extent that the driver and front passenger do for the simple fact that in most instances, they physically can’t. Depending on the make and model of the vehicle, usually passengers that sit in the rear of a vehicle have their views obstructed by the heads of the driver and passenger(s) in the front seats as well as the front seats themselves. Reports involving witness observation of Sasquatch (or other cryptids for that matter) while driving or otherwise in a vehicle seems to be a common occurrence. There are several reports submitted to the National Cryptid Society where observations were made while in a vehicle. I was curious about just how many bigfoot sightings happen from while the witness is driving, so I asked Squatchermetrics for some numbers. We have 3,186 Actual Visual Reports in the Database from across the North American Continent, 1,135 of those are from Witnesses Driving (36%). October is the most common month for Reports, closely followed by July. 67% of Reports describe the Animal as “Walking”, 21% are described as Running and 4% being described as on “All Fours” with the remainder as Jogging/Gliding/Crawling/No description. We have 254 Actual Visual Reports in the Database from WA State, 97 of those are from Witnesses Driving (38%). 44% of Reports describe the Animal as “Walking”, 13% are described as Running and 4% being described as on “All Fours” with the remainder as Jogging/Gliding/Crawling/No description. After I received this report from the Department of the Interior, I went to the Bigfoot Field Researchers Organization database to see if I could find it or one similar to it on the site. It did not take but a few seconds to find it. BFRO Report # 56827 is a “Class A” submitted by the witness on Saturday, February 18, 2017 and was followed up on by BFRO investigator Jason K. The report’s dates and location matches exactly. Included in the report is a statement from the witness that definitively links the Department of the Interior report and the BFRO report. Also, due to the follow-up by the investigator, there was some additional information that was not included in the FOIA report. “…they saw someone hiking toward them down a long straight stretch of the highway. As they got closer it appeared to be wearing what they thought was a “hoodie” as it had a pointed top on it’s head. They thought it was strange that someone would be wearing a “hoodie” on a nice sunny day. Its arms were long and swinging while walking. “I saw it’s face…it was lighter colored [than] his hair, but still dark.” She described a protruding forehead, sunken eyes and a somewhat flat nose. To my knowledge, this may be one of the very few instances where a Bigfoot sighting report was taken by an endangered species biologist in the employ of the U.S. Fish and Wildlife service if not the only one. To find the report on the BFRO website was a very pleasant surprise. Although there were several points that intrigued me about this report, there are also a few aspects that raise more questions. For example, the report is not in the traditional format as any of the documents I have received or have seen as a result of Freedom of Information Act requests. In fact, there is no real format at all, and it would be impossible to judge the credibility of the report by just looking at it. It would also be impossible to defend the notion that this report is from any government entity at all and not just fabricated by someone looking to put forth a controversial story as there is no identifying information included. By “identifying information,” I’m referring to a department logo or crest in the header or the department title, address or other general contact information on the header or anywhere else on the document. It lacked a report number or a standard form or memo number. Usually when you find any government document, there is some kind of tracking numbers, file or form numbers, stamps or seals on it… sometimes so many it’s hard to determine just which one to reference. In this case, there was nothing but three paragraphs on an otherwise blank page in a .pdf file titled “Bigfoot Report.” If I had not directly received this file from the Department of Interior, I would rightfully have questioned it’s validity because the lack of everything of which I just went over is a huge red flag. You can still question it’s authenticity, but I’m telling you this is what I got. It’s normal for certain documents obtained through the Freedom of information Act to have the names and / or personal information of some of the subjects included in said documents redacted, or “blacked out” by some administrative official covering the names with digital black boxes or by use of a magic marker. However, the document I received included everyone’s name involved. Not only that, it included the towns in which three of the five people mentioned lived. The author of this memo is not to blame for this issue at all, because the only accusation I can come up with from the content of the report is that someone did their job by taking the statement in the first place. See all the blacked-out areas in the document? I did that. Not because I want to hide the truth, and not because I’m a government plant or disinformation agent, but because this is personal information, and I have not received specific, explicit permission to release this information from anyone mentioned in this report. Not like I didn’t make the attempt to… of the five people mentioned in this document I was able to find three through publicly available information on the web, and of those I was able to communicate with two. Without permission from any of the individuals mentioned in the report I refuse to reveal them in any public manner. The witness who reported the encounter on the BFRO website is not named there, either. I’m not going to risk anyone’s credibility, job or public image just to bolster my own credibility as far as the information contained in this report goes. You can take it or leave it as far as I’m concerned. When the Department of the Interior released this U.S. Fish and Wildlife Service report to me I attempted to get in contact with the individuals named in the report using publicly accessible records and search engines. I managed to make contact with the endangered species biologist who wrote the report, and after verifying their involvement, I requested an interview. My communication with them was brief and they were friendly, professional and projected a willingness to speak about it. Prior to the interview, as the departmental procedure, they needed permission from the agency’s public relations office, and they forwarded my request promptly. Several days later I received an email from the External Affairs Supervisor declining the request for an interview. I was forwarded your interview request (attached) regarding a report received through the Freedom of Information Act. We decline the request to interview the employee. The U.S. Fish and Wildlife Service attempts to be responsive to our sister federal agencies and members of the public with reports, inquiries, or concerns related to possible wildlife interactions. I had also attempted to contact the witnesses. I managed to contact the passenger of the car, and asked if they could contact the driver whom I could not reach. Several weeks passed and after more brief communication, I was informed the witness who called in to the ranger station no longer wished to speak about the incident. That was my last contact with the witnesses in the automobile. Although I was disappointed that the witnesses no longer wished to talk about the encounter, I was also glad that they did actually make a report with the BFRO. So, these are real people. The witnesses seemed like normal people from what I gathered. Also the fact that they did not contact the media or the BFRO immediately leads me to speculate that they were uninterested or unfamiliar with making a Bigfoot sighting report (but I don’t know that). What the witness did do was what they probably thought was the right thing to do, they called the closest park authorities, in this case, the U.S. Fish and Wildlife Service. Think of it this way, if there was a large moose or family of bears on or by the road as you were driving through a park, one might be concerned for the wellbeing of the wildlife and drivers on that road, so you might contact the authorities in that area as to warn them of the potential public safety hazard. Those authorities would then have some information to determine if there was a hazard to wildlife in the area and possibly write a “wildlife interaction report” (which in this case is exactly what happened). Maybe they would redirect or slow traffic in the area or “shoo away” animals that are loitering in oncoming traffic. Again, that’s just my speculation. Is there some secret government conspiracy to keep information about Bigfoot from the public? Conspiracy theories can be controversial, and they tend to get a lot of people riled up. I usually give a wide berth to conspiracy but in this case, I’ll entertain a few more red flags and let you make your own determination if they are unrelated or if there is some shadowy agency pulling strings behind the scenes. I’ve uploaded a video prior to this one that has the entire narration of the document and we’ve done an article that includes this document as well. Also within this document there are a few passages that I found particularly interesting. “Undisputed proof of a Bigfoot might cause an immediate, short-term problem no law could handle. Word of its discovery would be flashed around the world within hours. Hysteria, fear, or panic might accompany the news in the area where the creature was located. The throngs of curiosity seekers, would-be captors, and others wishing to find Bigfoot would not only create a serious threat to the animal itself, but to public safety as well. Some officials doubt whether any State or Federal action short of calling out the National Guard could keep order in the area within the first few hours or days of the creature’s discovery. So, instead of causing a panic or circus-like situation within or around a National Park, would it be unreasonable to suggest that it might be possible that there would be some kind of written procedure for just such an event? “Would-be captors” would be those who would wish to capture the animal for their own personal or financial gain, and these types of individuals are still thought of as a threat to endangered species. In another section in the document, the steps to protect a newly discovered species are discussed. “But before a creature can receive protection under the Endangered Species Act, a number of actions normally must occur which involve recommendations from the public, scientists, and State and foreign governments where the species exists. The first of these would be the species’ formal description and naming in a recognized scientific publication. In addition, if it were a U.S. species, the Governor of the, State where it was found would be contacted, as would the officials of foreign governments if it were found outside the United States. That makes sense. In order to protect the species it basically needs to be identified in a scientific journal. In doing some related research, I found in the May 26 2017 issue of the journal Science, an article that was published with the ironic title “Do Not Publish” by Australian environmental researchers David Lindenmayer and Ben Scheele. The authors have no connection to this story other than that the journal article they wrote might bring some insight to what some may consider “deliberate withholding of information” by government agencies. The abstract of the article is publicly available, and if focuses on the discussion of whether or not it is acceptable to not publish specific location or other data in order to protect an endangered or newly discovered species from being poached or having their environment destroyed by individuals with malicious or reckless intent. The rest of the journal article is behind a paywall, where you can basically pay a fee to read the rest of the article. And in the article is a statement that I found interesting indeed. “Where species have high economic value…” “withholding information may be the only option. When I read this article, I understood what these researchers were trying to explain. Withholding certain specific information about a newly discovered or endangered species is a good idea in order to keep the animal’s whereabouts under wraps while it is studied as well as protect it from those who may find the information floating around the internet and want to possess or destroy said species. Or you could say that I’m making a terrible “causation vs correlation” argument. Are there any more government documented reports, files or memos about Bigfoot? We’ve collected a few in our article “Three Government Documents Concerning Cryptids” on the National Cryptid Society webpage, but for the most part they are outdated and are available freely on several other sites. But they are fun to read. As mentioned before, the Black Vault has some decent government documents in their Bigfoot files. But perhaps the greatest volume of government documents that deal with bigfoot comes from none other than David Paulides himself and the North American Bigfoot Search website. There you’ll find a wealth of government related communications, emails, reports and information on the site’s Bigfoot Disclosure Project page. Mr. Paulides is well known for his persistence in using the Freedom of Information Act to gather information for his investigations, and the Bigfoot Disclosure Project Page shows his ability to… let’s just say, get under the government’s skin. And in light of recent events, it looks as if Paulides wasn’t the only one to get under the government’s skin. This happens to be the last and most disturbing red flag concerning the entire FOIA process, and its impact goes well beyond this particular Bigfoot report. A little over a month after I initially received the report from the Department of the Interior, the department put forth a proposal to, in essence, reduce the number of Freedom of Information Act requests that it would answer. Filed to the Federal Register between Christmas and New Year’s Day on Friday December 28, 2018 with no forewarning, the suggested rule would change the way the agency must file Freedom of Information Act requests by giving the agency additional time to sit on requests before they are answered and making the request process more difficult for public organizations to obtain information from the Department of the Interior. The Department of Interior said it has seen a 30 percent jump between fiscal years 2016 and 2018 in the number of inquiries and litigation over the past two years. We’ll see how this plays out in the coming months. Immediately after the story broke there were several voices of opposition, but it took a few days for the story to actually break because there was no press release from the Department of the Interior as has been past practice. ~Nada Culver, senior counsel at The Wilderness Society. Coincidentally, this action took place during the partial government shutdown, and the Department of Interior has stated that no FOIA requests would be processed during the shutdown. So, as small and insignificant as this report may seem, I’m glad I was able to get it prior to this big bureaucratic mess. And I’m not suggesting that our request for Bigfoot sightings within National Parks had anything to do with this abrupt change in policy… it’s got to be a coincidence… I just thought it was pretty fishy. As I stated before, when I first received the report from the Department of the Interior, U.S. Fish and Wildlife Service I initially did not realize how significant it was. However, when you look at the big picture, it is actually one of the most noteworthy reports I’ve come across for several reasons. The witnesses contacted the Park Service first, implying they were not familiar with Bigfoot organizations, or that their immediate concern was to report it to the authorities within the park to report a possible hazard to others. The area where the sighting occurred has had other sightings in the past. To my knowledge, this is the only Bigfoot sighting report to originate from the U.S. Fish and Wildlife Service that has ever been documented [with the exception of the email on the North American Bigfoot Search website (see above)]. The sighting was followed up on by an endangered species biologist. The sighting described in the FOIA release closely matches the report on the BFRO database. There is no outlandish or otherwise unbelievable claims made by the witnesses. The biologist seemed willing to speak about the encounter but the agency would not approve the interview. The witnesses don’t want to talk about the incident anymore and possibly want to put it behind them. The abrupt change in the Department of the Interior’s FOIA procedures might mean that we may never again get the chance to receive any more documents that include information or sightings reported to the agency involving Bigfoot or any other strange occurrences for that matter. Does all this add up to evidence of any kind? No. This is yet another witness report. There is no physical evidence, nor any “smoking gun” evidence from the government to point to and get excited about. However, what makes it interesting is not only the fact that it was discovered using the FOIA process, but that a government documented Bigfoot sighting report correlates very closely with a BFRO report. Also it seems like both the biologist from the park and the endangered species confided to the witness that there had been several sightings in the area before. Is there another source of information at the U.S. Fish and Wildlife or are they keeping tabs on the BFRO? The scariest part of this story is not the Bigfoot. To me, the most concerning and scariest part is when the Freedom of Information Act is boldly reeled back by an agency during a time of complete media distraction. And instead of being more “in the know” about our government that was said to be “the most transparent in history…” we are left yet again in the dark. Let us know in the comments what your thoughts are of this report, and don’t forget to like and subscribe to our channel. Or don’t. I’m not your boss. If you have had a cryptid sighting you would like us to cover, you can make a report! The National Cryptid Society is supported by the advertisers on our web page, and by the sale of our unique t-shirt designs on Amazon, but we will not be monetizing our YouTube channel, so you shouldn’t see any external ads there. 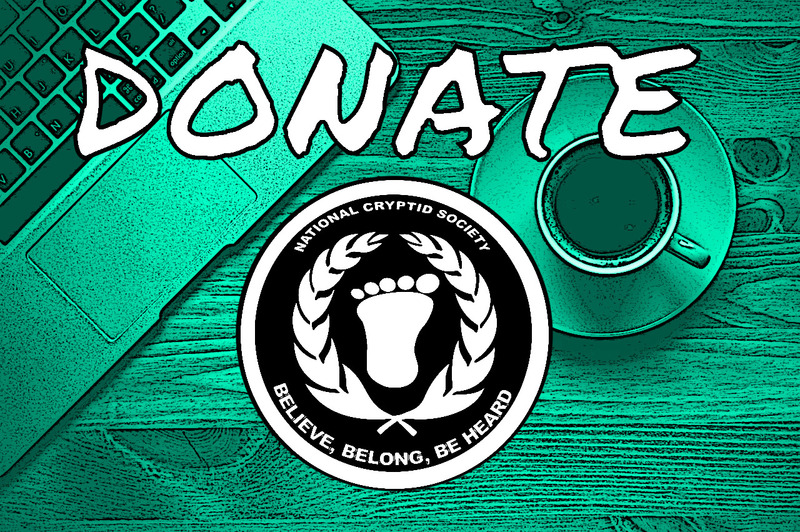 Search for “National Cryptid Society” (with quotations) on Amazon, or visit the gift shop page on our website for the link to all of our t-shirts and hoodies on Amazon. Very levelheaded investigation and research. Thank you.